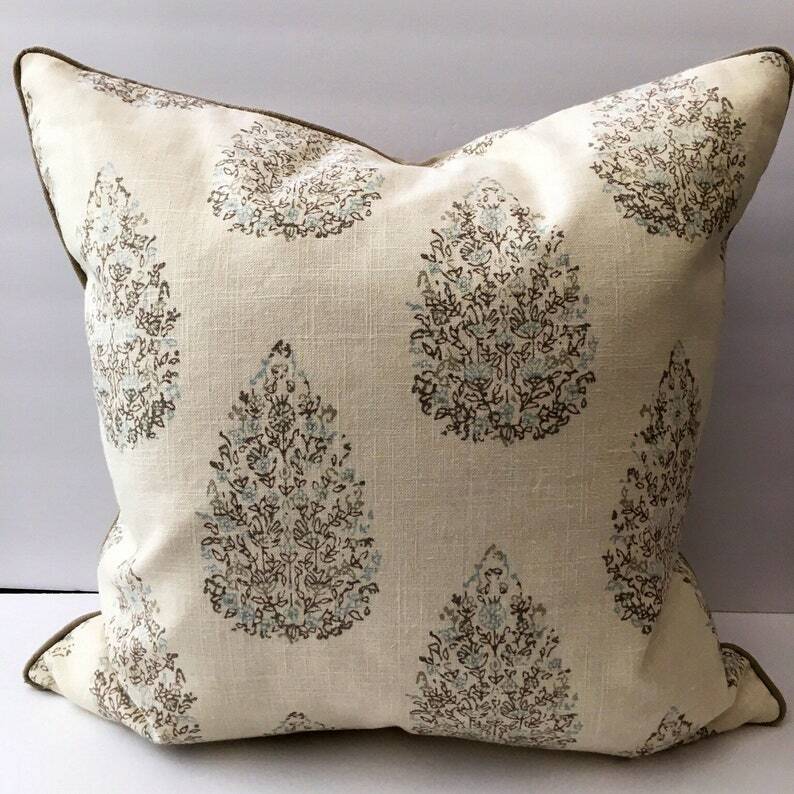 Taupe gray with a touch of blue pattern on a cream background fabric. Pillow back and corded edge are solid taupe gray rayon linen. Quality feather pillow insert available. See separate listing.